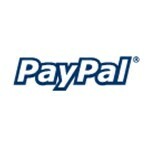 Why do we recommend PayPal? Security, accountability and ease. Most of all when buying “goods” if there is an issue with either side you can dispute the transaction and usually get your money back. If the other party did not keep up their end of the sale or purchase you don’t get the short end of the stick. Many times we have been very happy that we paid with them because the seller did not deliver as promised, this gave us another avenue to make things right or get our money back. Other times we didn’t use them and then when something went wrong we sure wish we did. It also has been beneficial as a seller if a buyer claims they didn’t receive the product, the delivery confirmation protects me. When your customer pays via PayPal all you give them is your email address, which they would already have, so you don’t have to give any more personal info. Other payment methods usually need you to give other info like your bank account info or your address. This is not recommended. PayPal is good at keeping your personal information safe from fraud. It’s AGAINST Paypal regulations to mark payments as â€œpayment owedâ€ when you are buying goods. This makes it against the rules here as well. Payments MUST be marked as â€œgoodsâ€ not services or anything else. You have no protection when paying by these other methods offered. Always require immediate payment. PayPal allows bank drafts (ACH), this takes days longer to clear. Make sure the payment has actually cleared before sending outÂ goods. Last thing I need to touch on is the request that your buyer handles PayPal fees. This is actually confusing for many buyers. Please, factor the fees in your breast milk asking price. You can always offer a discount if they buy in bulk. It is not the buyers responsibility to cover seller fees. Don’t forget to include all fees in your total, including Breast Milk, shipping, insurance, and PayPal fees etc. DELIVERY CONFIRMATION GOES ON EVERYTHING. NOTHING SHOULD LEAVE YOUR HOUSE WITHOUT DELIVERY CONFIRMATION. Delivery confirmation is to protect the SELLER and should be included in your price. If you choose to send a package out without it, be prepared to refund that money if the package doesn’t arrive. If a Paypal claim is filed against you, and you didn’t buy delivery confirmation you WILL lose your Paypal case. I can’t stress enough how IMPORTANT delivery confirmation is. PLEASE report all threads that you see where seller is asking payment be marked as ANYTHING other than â€œgoodsâ€.